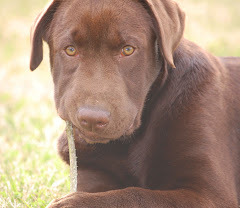 This lovely photo was shared with me by a customer! 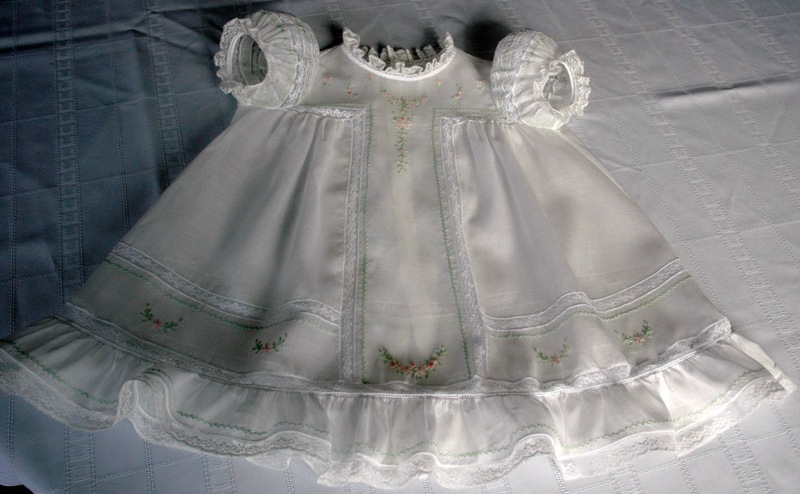 Beautiful Baby Dress reproduced from an antique. 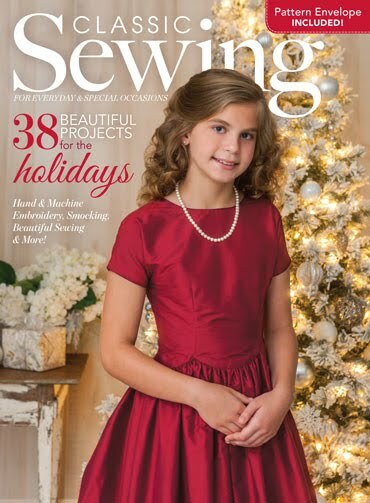 This is the ultimate class for anyone who wants to learn French Sewing by Machine and everyone who wants to improve their techniques! This lovely photo was shared with my by a customer! 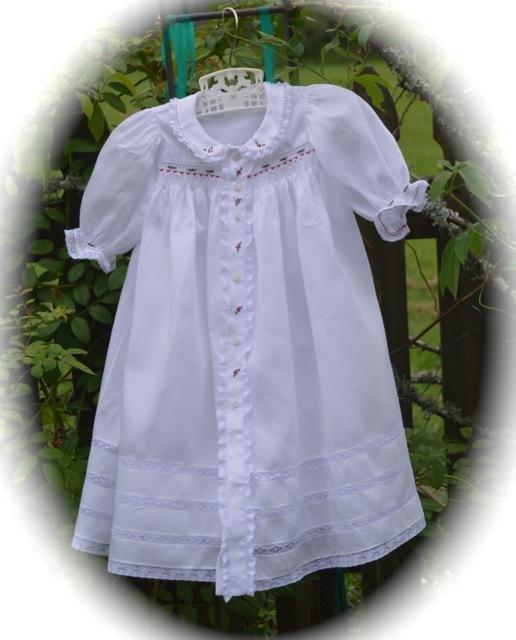 This lovely garment features a ruffle at the hem. Fine embroidery stitches are the icing on the cake as you stitch this wonderful heirloom keepsake. 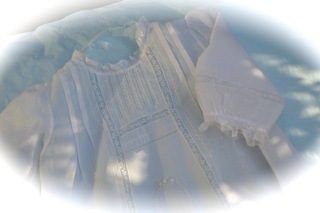 This class is about beautiful Machine French Sewing, Construction of the garment, Hand Embroidery and Choices. 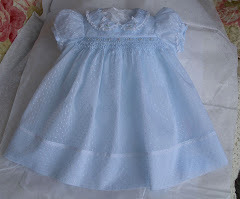 You can choose a kit to make the wonderful Christening Gown or a kit that will make either the Baby Gown or Baby Dress. This pattern was inspired by an antique made long ago for Anna Gordon Barrett Kellam by her mother and passed down to Jamie who generously shared it with me. 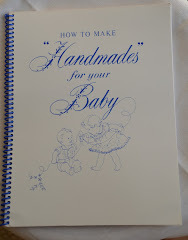 All views will feature a design touch that is not included in the pattern, but unique to this class. 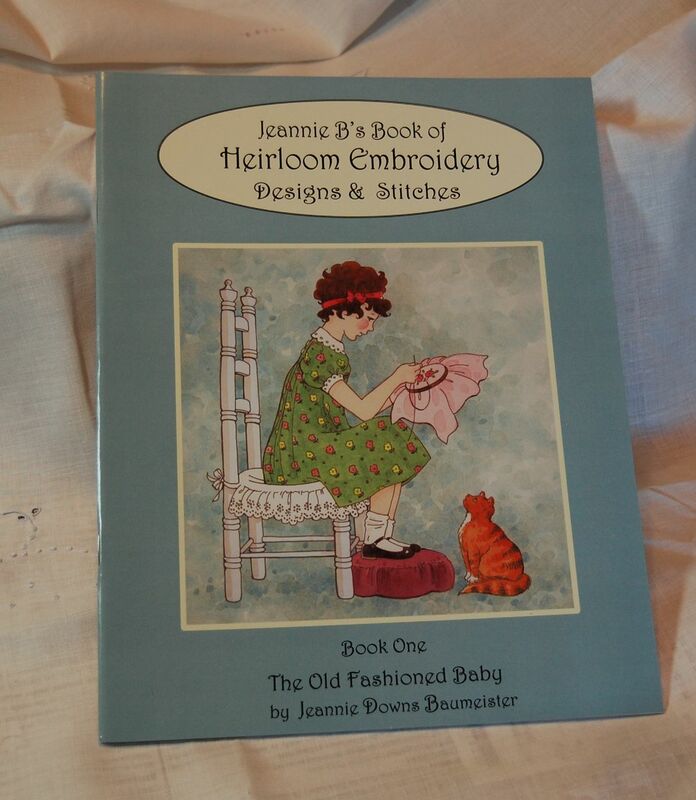 The embroidery stitches will compliment the garments and several stitches will be taught so that you can decide how easy or challenging you want your embroidery to be. They are all beautiful. 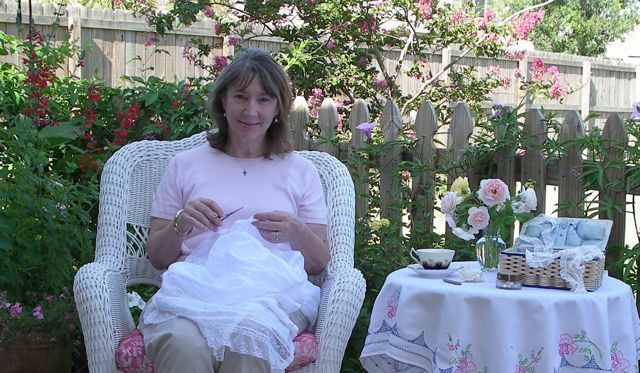 In this class you will go beyond the basics as you learn how to stitch with fine fabric and lace under my supervision. 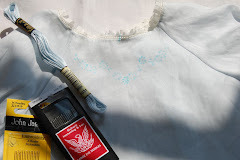 Learn the basic method of machine rolling and whipping lace to fabric, attaching lace insertion to fabric (and cutting away the fabric behind the lace) as well as how to miter the lace as you incorporate it into your design. 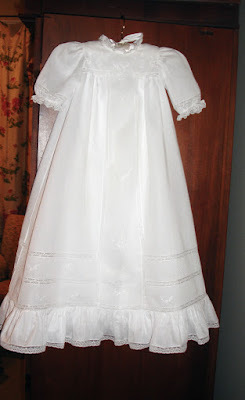 you will learn how to attach the gathered side skirts to the front T-Yoke with lace. 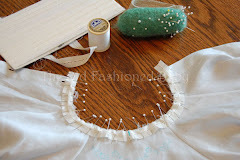 Learn to stitch entredeux to fabric by machine as you attach the front gown to the back at the shoulders. using entredeux. 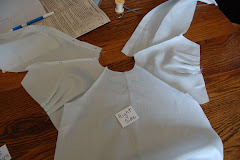 The entredeux at the neck and sleeves are sewn using the Old Fashioned Method - my favorite!. 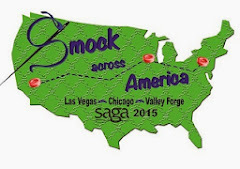 You will also learn to evenly gather lace edging and attach it to entredeux. 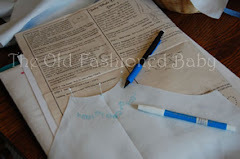 This T-Yoke style garment will go together like magic as you are taught the fine machine sewing methods.